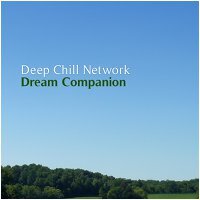 We are very happy to welcome Deep Chill Network to our collective, with their debut Earth Mantra release entitled Dream Companion. Over the years Deep Chill Network has created several sets of CDs, each with slightly different themes, among them the Cyber Sleep series, the Dreams series, and the Frozen Tundra series. Each of the titles in these collections delivers fairly minimal drones, but somewhere along the line Stephen Phillips and his collaborators in the Deep Chill Network felt the need to take things much, much deeper. So it was that in 2007, Stephen began a new series of albums called “Drones For Deep Sleep”. This collection features some of the most minimal of drones that Deep Chill Network has ever created. Made specifically for sleep listening, Drones For Deep Sleep is intended as pure wallpaper music for passive enjoyment, uniquely designed to take the listener into deep relaxation states and, hopefully, sleep. With this in mind, this disc entitled “Dream Companion”, constitutes exactly that: a companion release to the Drones For Deep Sleep series, similar in style but released as a companion piece here on Earth Mantra. The music of Dream Companion embodies pure drone, fathomless and languid, the kind of sound design that instantly gets the alpha waves going and makes the eyelids feel a bit heavier. Despite the intended use as background material, however, we find the music of Dream Companion quite welcome for active listening, with slow, ponderous waves of sound crashing on the virtual beach of our consciousness. Deep Chill Network has long been known for their ability to create pure abstract sound sculptures, and this piece is a magnificent testament to that singular talent. We feel that anyone who ventures to listen to this release end-to-end will find themselves afterward in a state of nothing less than relaxed clarity and oneness. Old school ambient music of the highest order. Deep Chill Network states: "If you suffer from insomnia like so many people out there, we hope you will find this music fits your needs". And Earth Mantra adds that even if you don't have trouble sleeping, you will find much to love about this enigmatic and strangely beautiful release. Highly, highly recommended. Hypnotic and narcotic. An excellent companion to the "deep sleep" serie, totally hypnotic. Listen to this in the dark when you are very tired, you will forget where you are and be taken in unknown dark areas of your mind and body. Beautiful release, hypnotic, dark and luminous, very enigmatic, Thanks very much for the quality of this music. Sinking Deeper. Deep and mesmerizing music.